It could be added to GaDaBaMa but I wouldn't count on it. I like to keep F3 database edits separately. If something will ever come than the whole scan process done by GaDaBaMa itself. Similar to GameSave/DLC Content scan. How to obtain the ScanpathID is explained in the topic F3 ScanPaths importer under additional info. The table ContentTypes is empty so I'm not sure if the above info is complete. Always gives me this error. I tried all the tips, installed on two different pcs and could not. "application must be run as administrator"Any fix for this? Yes, run it as administrator. It works fine on Win 7/8. I'm not an idiot, I've already tried that. Still get the error.There was a similar issue with a previous version of the app. Does your admin account have a password? Have you installed ms visual 2010 runtime? Does it work on another PC? hello i'm really liking this program but I ran into a problem, not really sure if this a problem or this is gadabama behaves like. so I sync my harddive that has quite a number of games and so far all is good and i'm really happy about it so I asked my friend that i'll update covers on his hd since he has no internet connection. when I import his f3 data (step 1) it deleted most the files (covers/pictures) that have been already saved on my pc and shows my library at 20+ (my friends number of games), in my confusion I just said oh well ill just grab all the data that is still on mu external hd so I plug back my hd and step 1 and asked to select to convert all dds to jpg so I selected yes since I want to put back all the pictures downloaded, but this time my number of games just add to my friends 20+ games and still no images displayed or info the only thing that I think remained is the names of the games title that I manually edit. so my question is I cannot use 2 different hd with different games gadabama? and you have to redownload all files if you want to use 2 different hd? or is there a way to retain those data you've downloaded? 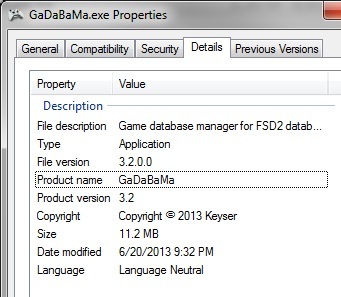 Once you start a sync process (step2/4) GaDaBaMa checks both databases and deletes unused Game-ID folders. You can't sync 2 different F3 databases with the same GaDaBaMa database. 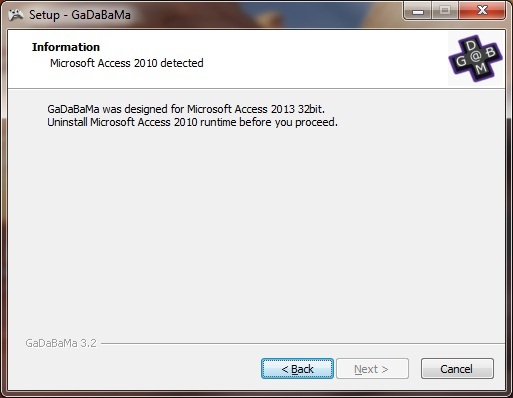 If you really need to do it on the same PC then you need 2 installations of GaDaBaMa. The easiest way would be to install the app and to copy the installed files to another folder. Then you create a batch file that changes the installation directory to your folder and that starts the app. Once this works install GaDaBaMa again. You can use the desktop shortcut for your database and the batch file for your friend. In another post there are more details about which registry to change. Or search for GaDaBaMa in the registry, you should change the key . ok will do, didn't know I could install two instances of gadabama. thanks for the support! by you mean batch file that changes installation directory, you mean this? I have just installed FSD 3 and my games covers have disappeared (it says: missing cover). So I was glad when I found Gadabama, but for some reason the program doesnâ€™t work. Every time I press the button that says 'Import F3/Content Data', I get this message: "You must run this application as Administrator". 1) I did right click the software's exe file, go to properties and chose 'Run as Admin'. 2) Installed ms visual runtime 2010 and then ms visual runtime 2013. 3) Re-installed Gadabama multiple times. 4) Installed other version of Gadabama. 5) My admin account had no password, but I have created one. 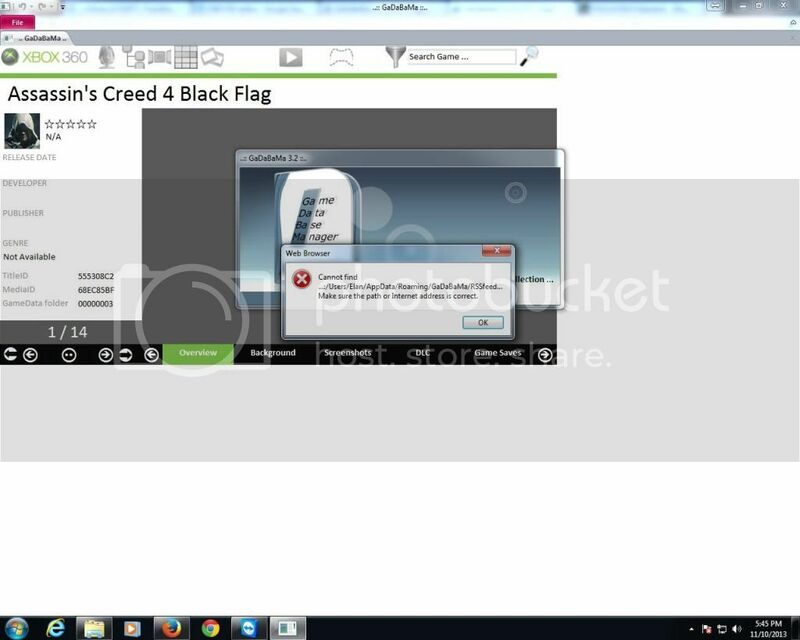 6) Tried to open the program from the hidden admin account in win 7. I have tried almost everything, but it still doesn't work and keeps repeating the same error message. Could someone help me and explain how to use Gadabama properly? Is there any fix for this bug? I get this message: "You must run this application as Administrator". have you guys got a password on your computers so when you switch it on it ask for a password rather than logging straight into windows? I don't know what all this fuss about admin is, fact is, the app works as it should under the right environments. You are not helping by just saying you get this error. Try to find out what you all have in common. I've tested the app under various systems and never came across such an error. Except once when a MS Silverlight reference was set by mistake. So maybe you are searching in the wrong direction. I don't have time for my apps anymore. I'll try to install the app one last time with a regular user to see if an error pops up. I've tried running MS Access in compatibility mode: no diceI have no idea what to do other than run it on a different operating system but I don't want to go to all the trouble JUST for this program. So in FSD, is it just the data folder that this program interacts with? I'm just trying to figure out what files I need to copy from my 360s hard drive to my computer for Gadabama to work with. Thanks! I've just tried 2 scenarios for this app. Windows 8 x64 w/ Office 2013 which results in the Run as Administrator prompt even though I manually right click and hit run as administrator. Windows 7 x86 w/ Office 2010 which results in the Run as Administrator prompt even though I manually right click and hit run as administrator. I saw in the 2.2.1 version change logs that this was cased by "Somehow I clicked accidentally on a sliverlight reference and now it is looking for that reference. At some point it pops out the Admin message." The issue was apparently fixed but has now reared its ugly head again. Could it be the same bug? 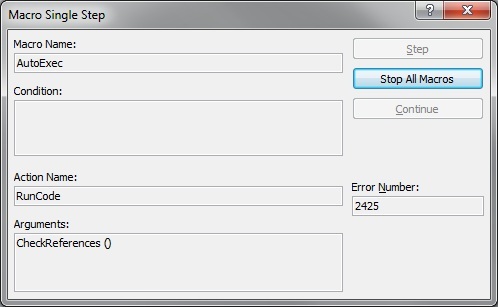 everytime i run the gadabama i have this error on rss can someone guide me what i done wrong ? Ok, I've read all 8 pages of this thread (including the links to xboxpirate.eu) and performed various searches on this forum, but still have no resolution. I get this popup four times. I've tried clicking OK and Cancel. Both result in the application closing back to the desktop. Nothing further happens. I also tried running as Administrator with no change in behaviour. I've never tested Access 2010 SP2, Back then, Err2425 happened when SP1 was not installed. Maybe SP2 is not compatible and would need a new package. Either use SP1 or try the 2013 version. Didn't work with SP1, so I installed SP2 in an attempt to fix it. Same thing you see above in SP1 and SP2. Maybe the installer should prompt "Do you want to continue anyway?" instead of pigeon holing me into clicking Cancel. You need Access Runtime 2013 for the Access 2013 version. If another Access version is detected the installation can't proceed.